BY HONOLULUTRAFFIC.COM – Vote NO [on the Tranist Authority question on the November ballot] since all that the Authority will do is insulate our elected officials from any accountability for the inevitable cost overruns, ridership shortfalls and traffic congestion that will be caused by rail’s construction. What they mean by “make decisions more quickly” is that they will be authorized to bypass many of the safeguards in place to prevent overly quick decisions on eminent domain, bond issues, and large expenditures. A Transit Authority for “enhancing transparency and accountability”? Now we know they are kidding. In reality, the Transit Authority is to shield elected officials from being accountable. Let’s take a detailed look at this so-called accountability. In the aggregate, the Study finds that to bring these systems up to a State of Good Repair (SGR) will cost the nation’s taxpayers slightly more than $50 billion. Note that it was the “Authorities” that were responsible for the existing seven rail lines being $50 billion behind in maintenance. It is interesting to Google these various agencies with the Authority’s name and the word “blame.” You will get many newspaper reports as the results of such searches. In each case the Authority is being blamed for the problems; there is not the name of a single elected official to be found. This is why elected officials want a “Transit Authority.” It is to where they will all point their fingers when matters go awry and the “giant sucking sound” is the unexpected hits on the City Budget. It is so that the anonymous officials in the “Transit Authority” take the heat while the elected officials can “tut, tut,” on the sidelines. All that a “Transit Authority” will do is to insulate our elected officials from any accountability for rail in the future. It is known elected officials that need to be held accountable for the misfortunes that will overtake rail, not an appointed board of unknown, unelected, group of the usual suspects. 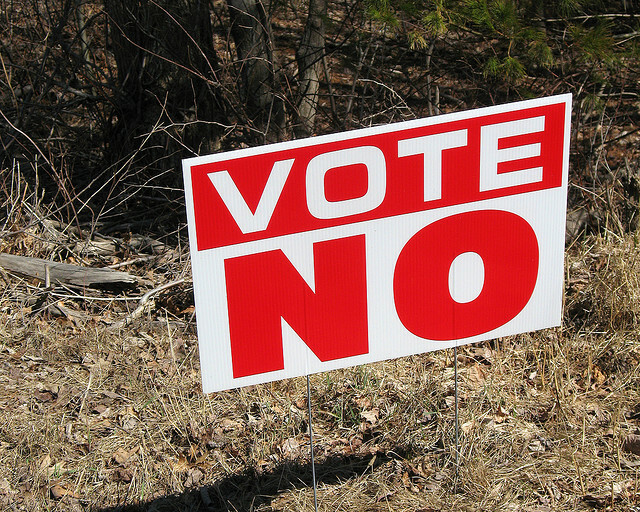 Do not let our councilmembers hide behind the Authority; vote no on November 2.